Company introd.. Organizational.. Honor of quali..
Spinal surgery.. Spinal surgery.. Disposable abd.. Disposable abd.. Lumbar posteri..
Spinal surgery type .. Spinal surgery type .. Disposable abdominal.. 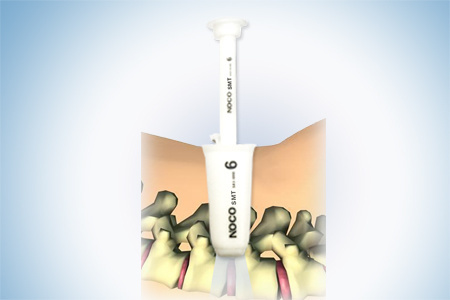 Disposable abdominal.. Lumbar posterior exp..
1、Product introduction：The product can establish aisle in lumbar posterior decompression with non-fusion surgery. The product is disposable and made from medical polymer materials. 2、Indications: For the establishment of lumbar posterior surgical access. （c）The advantages include the smallest incision, precise decompression, reducing tissue trauma and shorten the operation time;（d）For avoiding cross-infection , the system is disposable.